Create “scenes” with HomeWorks QS — preset light and shade levels that you can recall at the touch of a button. For example, press the “Entertain” button on the keypad in your living room and lights and shades will adjust throughout your home to create just the right light. HomeWorks QS easily integrates with 3rd party manufacturers. 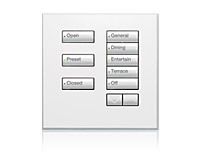 Control lights, shades, audio-visual equipment, and temperature controls from a single keypad. HomeWorks QS integrates with home security systems. In the event of an alarm, interior lights turn on, illuminating a safe exit, while exterior lights flash to attract attention. 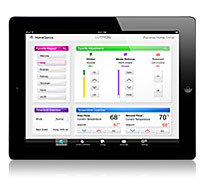 HomeWorks QS also makes a home safer by automatically turning landscape and security lighting on and off each night.